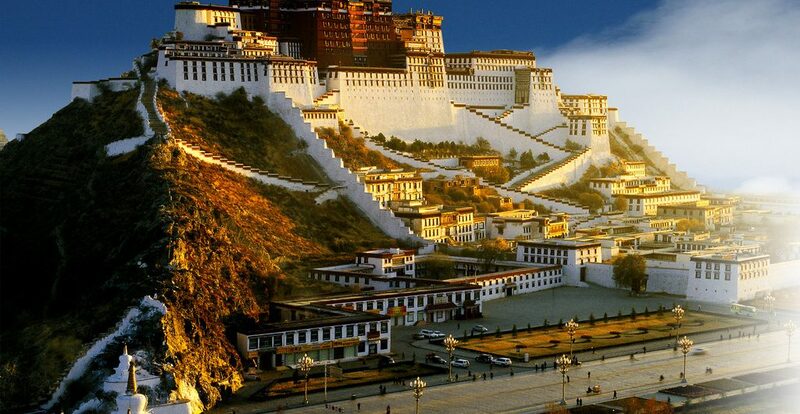 The Potala Palace travel tips you should know before you go there. Potala Palace-a pearl on the roof of the world. Do you want to come? Here are some important information about Potala Palace and some Potala Palace travel tips were given to you before you go there. Want some Potala Palace travel tips? Let’s start with the brief information of Potola Palace. Potola Palace-the world Heritage, is the highest palace in the world. It located in the northwest of Lhasa. Srongtsen Gampo built it as the weeding hall about 1300 years ago.And also, Potala Palace is composed of two parts- The Red Palace and The two white palaces. As we know, a lot of people visit here home and abroad every day. But the reasons that attract people are different: different kinds of architectural styles, tons of gold, historical status, religion belief and so on. Reserve the tickets one day in advance. Take your ID card with you. Bring along an overcoat because it is a bite cold in the hall. You are not allowed to wear a hat or sunglasses. Do not step on the doorsill.